Read, Write, Recommend: The Date is Set! "Nothing exciting ever happened in Emily’s sleepy Church Hill neighborhood. Just when she’d come to accept that she lives in probably the most boring place ever, a giant sinkhole opens up in the middle of the street and swallows two cars. With the help of her best friend Sarah, Emily decides to investigate the mysterious circumstances surrounding the appearance of the hole and the strange behavior of the city officials in charge of repairing it. 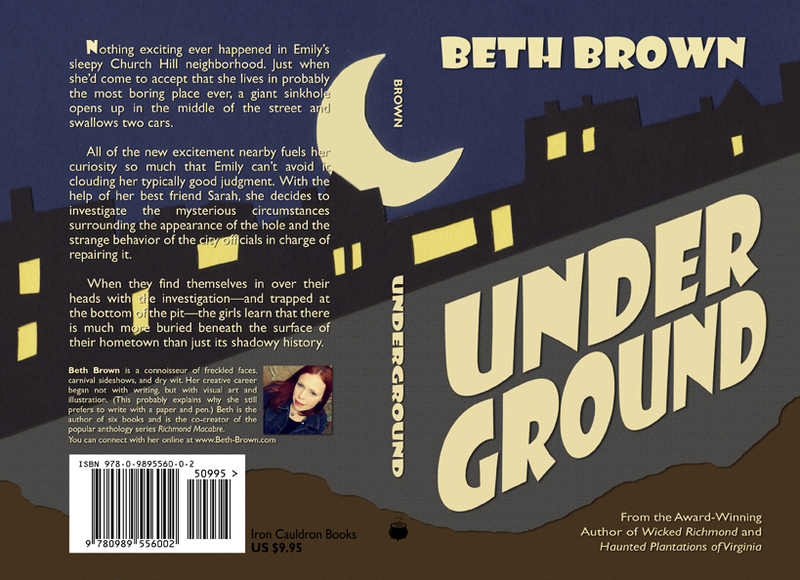 When they find themselves in over their heads with the investigation—and trapped at the bottom of the pit—the girls learn that there is much more buried beneath the surface of their hometown than just its shadowy history."